It seems that the colder it gets outside, the hotter my cooking gets. We’ve had more hot/spicy dinners in the last few weeks than we’ve had in probably the last six months combined. Maybe I’m subliminally trying to combat the -2 degree weather with hot sauce? 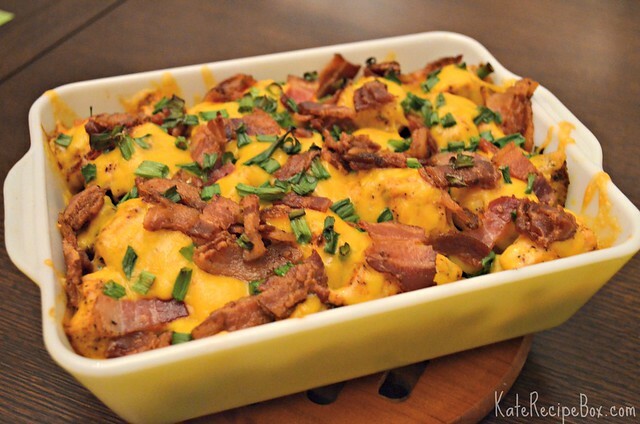 Casseroles are such a comforting dinner on frigid nights. I roasted the potatoes for this during afternoon nap so come actual dinner prep time I only had to do some minimal assembly and pop it in the oven. It worked like a charm! And, warmed us up nicely. Preheat the oven to 500F degrees and line a baking sheet. In a large bowl, whisk together the olive oil, salt, pepper, paprika, garlic powder and buffalo sauce. Toss the potatoes in the sauce. Using a slotted spoon, transfer the potatoes to the prepared baking sheet, leaving behind as much sauce as possible. Roast, stirring every 10-15 minutes until cooked through and crispy on the outside, about 45 minutes. Remove potatoes and reduce oven temperature to 400F degrees. Place the cooked potatoes in the bottom of a casserole dish (I used a 9×6″). Toss the chicken with the remaining sauce and place on top of the chicken. Bake until chicken is cooked through, about 20 minutes. Top with cheese, bacon crumbles and green onions and return to oven until the cheese is bubbly. Do you know what today is? It’s 10k day for those of us participating in NaNoWriMo. NaNoWriMo (National Novel Writing Month, for the uninitiated) is a project to write 50k words of a novel in 30 days. It’s a little crazy and a lot fun. This is my 7th year participating in NaNo and if there’s one thing I’ve learned from my past attempts, it’s that you need to plan ahead. As part of my NaNo prep this year, I stocked our freezer with dinners. I’ve never really done much freezer cooking, but spending less time in the kitchen and more time writing sounded like an excellent idea. 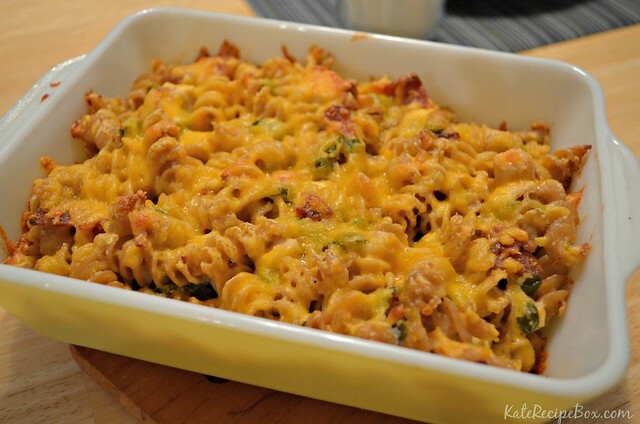 This is one of the meals we’ve got in the freezer for this month. The recipe makes two pans – so we ate one when I made in and froze the other. 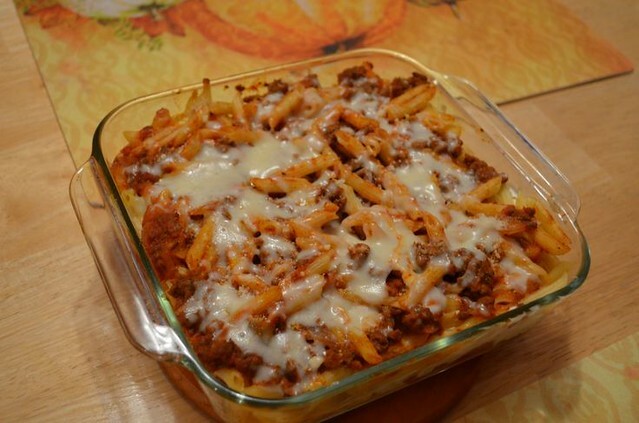 This is a pretty basic, no-frills baked ziti, but it’s a really good one. We’re really looking forward to enjoying the second pan. I’ve got a whole lot of freezer meals on the menu this month. I’m planning to share the hits and include freezing instructions on some already-blogged recipes. Keep your fingers crossed this goes as well as planned! In a large skillet, cook the onion and ground beef over medium heat until the meat is browned and onions are translucent. Drain off any excess fat. Add in the spaghetti sauce and simmer for fifteen minutes. If cooking it now, preheat the oven to 350F degrees. Spray two 8×8-inch pans with non-stick cooking spray. Layer in each pan: 1/4 of the ziti, 1/4 of the sauce, 4 slices of Provolone cheese, 1/2 of sour cream, 1/4 of ziti, 1/4 mozzarella cheese and 1/4 of sauce mixture. Top with grated Parmesan cheese and remaining mozzarella cheese. Bake, covered, for 30 minutes, until cheeses are melted. Or, cover and freeze. To cook from frozen: bake at 350F degrees, covered, until heated through and bubbly.